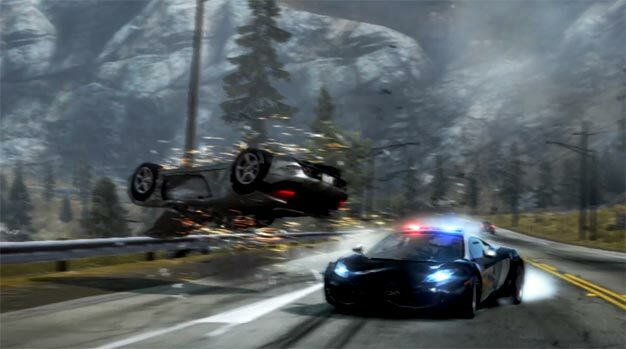 The two weeks Need for Speed: Hot Pursuit‘s demo spent on the road have given EA a few stats to brag with. Since its release on October 26, the sampling was downloaded over 2 million times, the publisher announced today, making it the fastest downloaded Need for Speed demo ever released. It also saw 700,000 Speed Wall messages and 5 million friend-to-friend Autolog Recommendations. Plus, speed devils left behind over 54 million miles of road as racers and executed 20 million busts as cops. That’s a lot. These numbers go for the Xbox 360 and PlayStation 3 versions only then; PC players didn’t get a demo. They will get the full game next week alongside the consoles though. The racer’s out next Tuesday in North America and Friday in Europe.